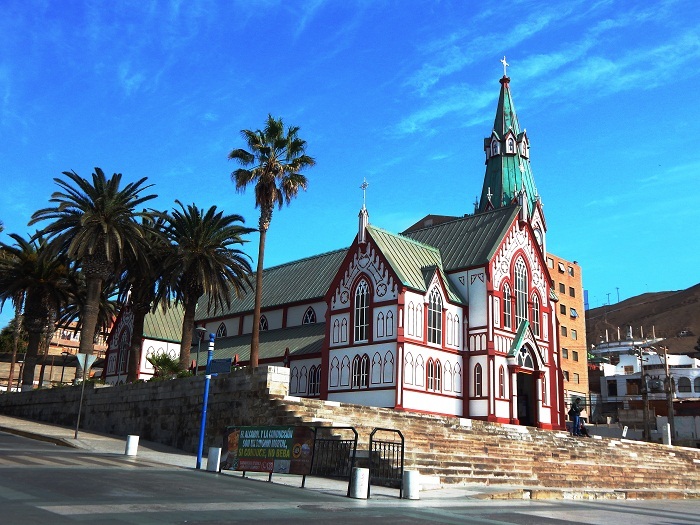 The Saint Mark’s Cathedral, better known as Arica Cathedral, is a Roman Catholic church which is located in the city of Arica, within the far north of the Republic of Chile. 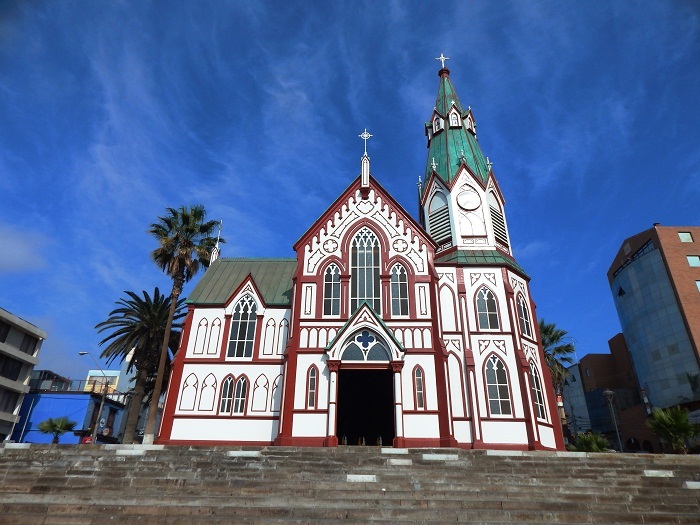 Before the construction of this magnificent religious object, there was another church which stood at the same place for 226 years, which unfortunately was destroyed by the earthquake from 13 August 1868. 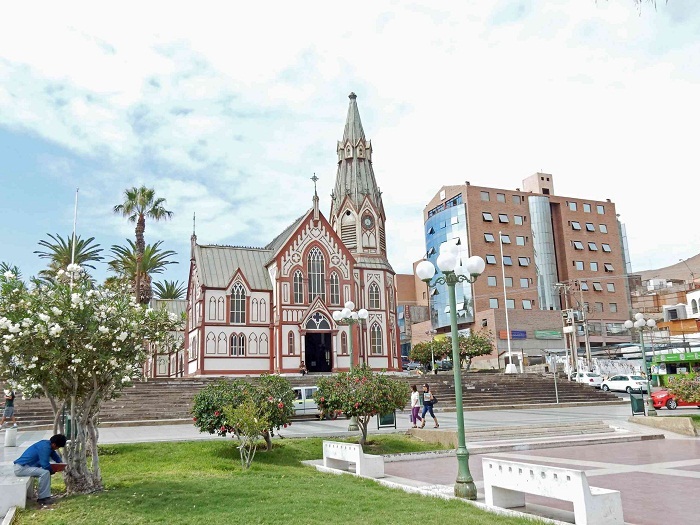 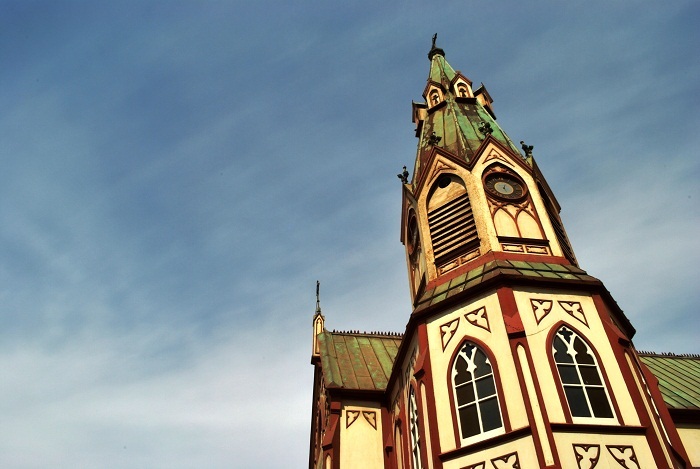 Commissioned by the Government of the 30th Peruvian President, José Balta y Montero, this Gothic-style church has somewhat intriguing history behind. 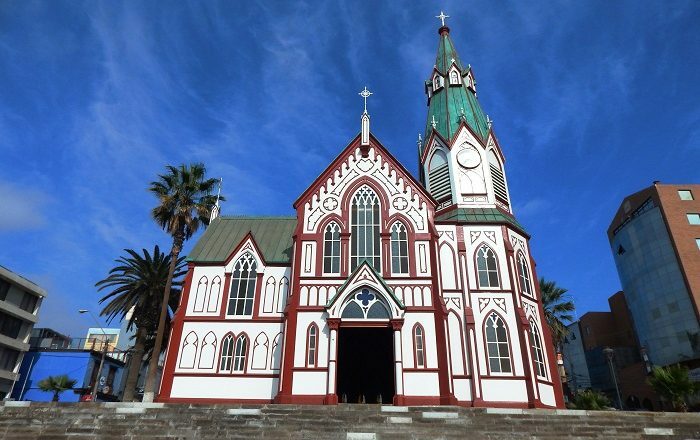 Designed by the French civil engineer, Gustave Eiffel, there are some sources which claim that he prefabricated it in his shop in 1875, which was then transported to Arica, which belonged to the then Peruvian Republic, and assembled on site. 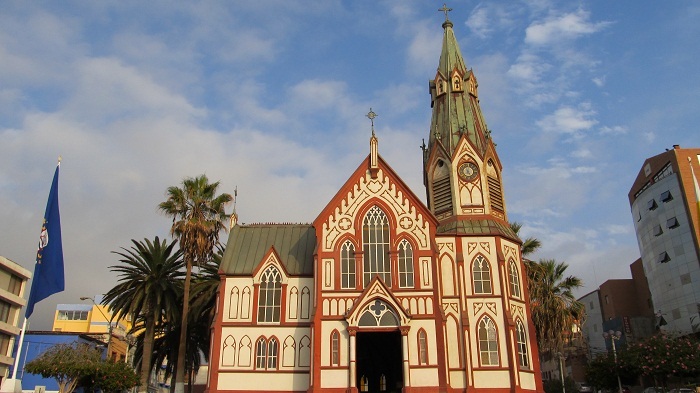 When the city of Arica fell under occupation by the Chilean Army in 1880, the church was still run by a Peruvian priest, however, on 27 February 1910, the mayor of Arica, Maximo Lira, decreed the expulsion of the Peruvian parish priest together with his assistant, who were then replaced by Chilean military chaplains. 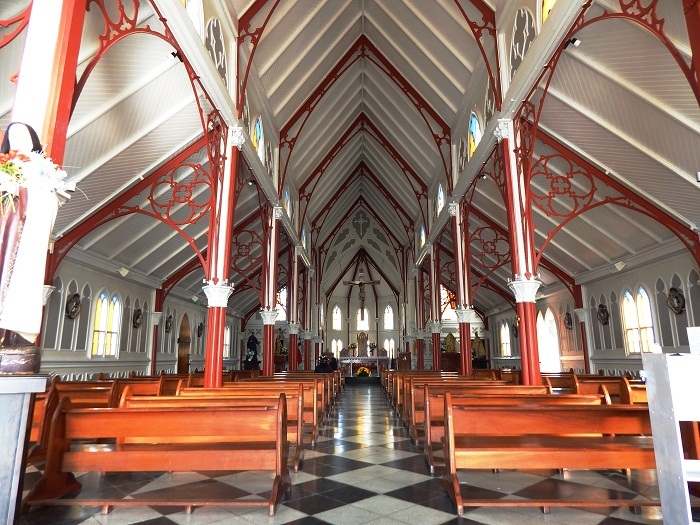 Still, being unique in its design, the entire church is created from stamped and molded cast iron which is coated with paint, and it is considered to be among the greatest treasures of the city. 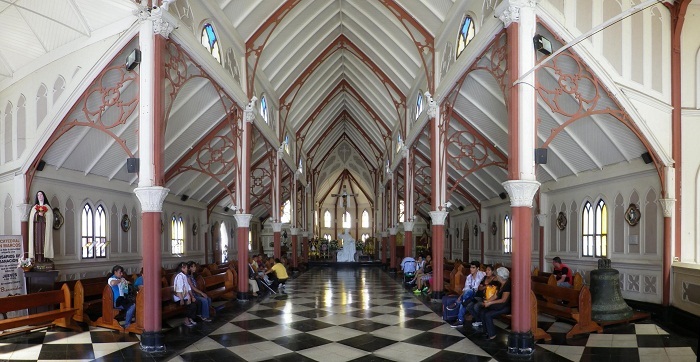 Even if it was built in times that were considered very turbulent for the region, nowadays, the visitors of this city in the very far north of the South American country, are impressed by the unique design and architectural masterpiece which only Gustave Eiffel knows how to create.